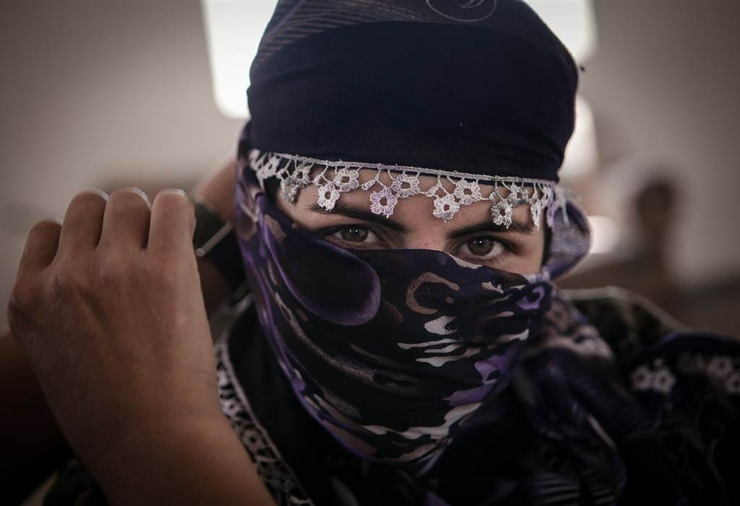 Long pursuing a state of their own, Kurdish women are fighting back ISIS and gaining many fans in the West. To an ISIS militant, one of the worst things that could transpire in combat is not just being killed, but being killed by a woman. If this happens, ISIS members believe that they will go directly to hell. 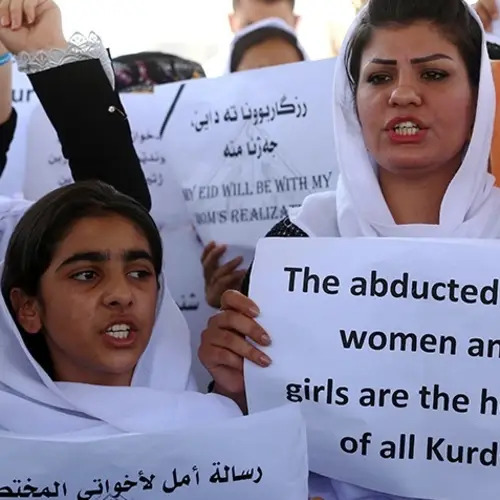 If hell exists, rest assured that they have been sent there by a number of Kurdish women. Female soldiers carry the casket of Evrim in Derek City, Syria. 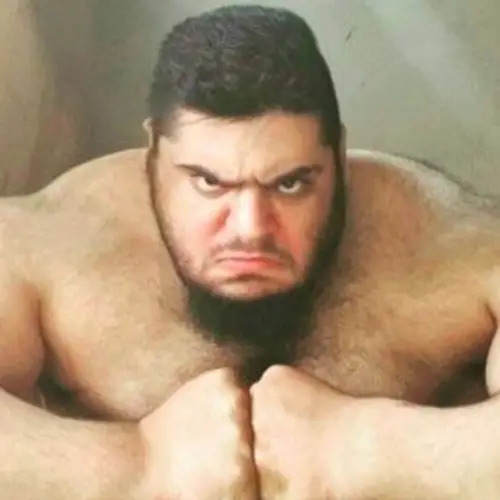 Evrim was killed while combatting ISIS members. 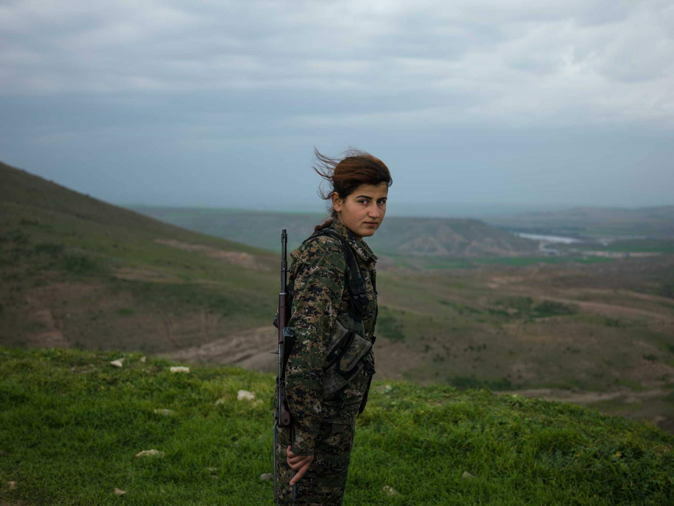 Many of these Kurdish women compose the female branch of the YPG militia, which, along with PKK (a Kurdish nationalist party) guerrillas and US-backed peshmergas (recognized Kurdish soldiers), have been fighting ISIS back and providing humanitarian aid to local populations for nearly the past year. 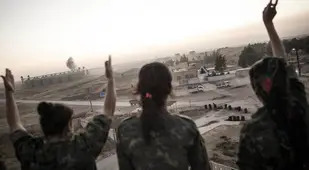 Anywhere from 7,000 to 10,000 women form the all-female branch of the YPG--the YPJ--and are usually 18 to 25 years old. 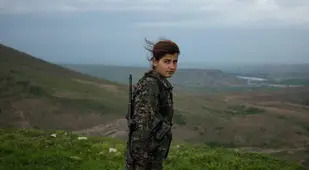 Influenced by the Marxist-Leninist thought of jailed PKK founder Abdullah Ocalan, the Kurdish nationalist party demands that gender equality be re-instated, making women's "liberation" a key component of the party's nationalist project. 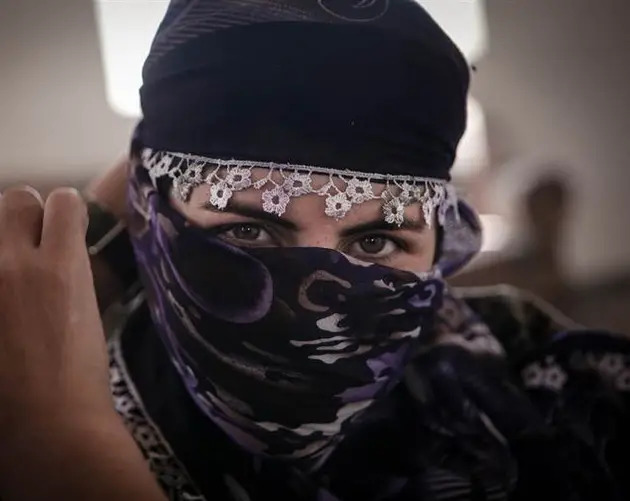 Political and territorial gains by ISIS, which seeks to severely curtail the rights of women, thus represent not just an international security threat. To Kurdish nationalists, it sets the dream of an independent Kurdish state that much further in the distance. Kurdistan encompasses parts of Turkey, Syria, Iraq and Iran, which makes its people particularly vulnerable to the conflicts engulfing the region--and stand to benefit from a weakening Iraqi state. 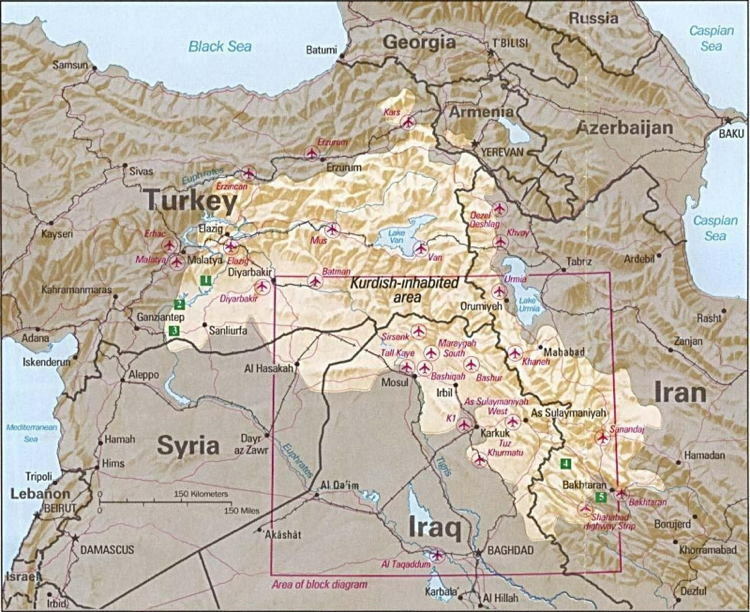 Following the collapse of the Ottoman Empire in the early 20th century, Allied forces attempted to create several countries within the empire's former boundaries, Kurdistan being one of them. This did not end up happening for a number of reasons, and millions of Kurds were left without a state of their own. Since then, members of the PKK--labeled a terrorist organization by the United States, NATO and the European Union, among others--have been engaged in a long-standing fight with Turkey, and are looking for ways to gain international support for their cause. Beyond providing humanitarian support, one such way seems to be through pumping its female fighters to the West. 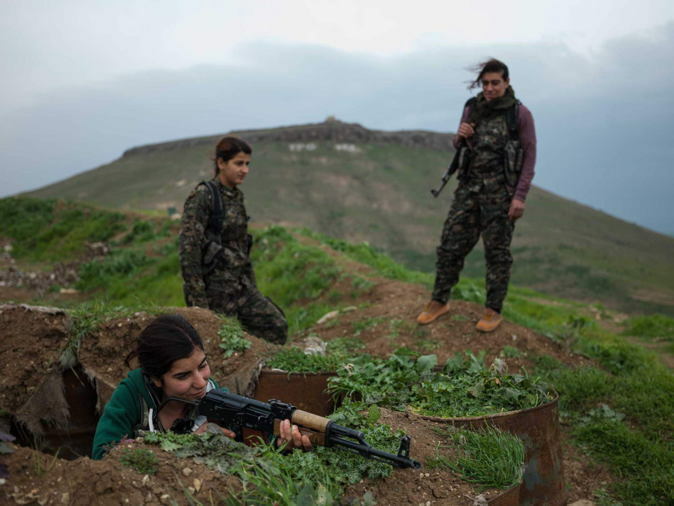 According to Jacob Russell, a photojournalist who has lived in Kurdistan for nearly two years, both international media and Kurdish politicians see the PR potential of "girls with guns" and have objectified these women, presenting a false, vaguely glamorous reality to Western audiences clamoring to see ISIS' downfall--and "empowered" women leading the fight. 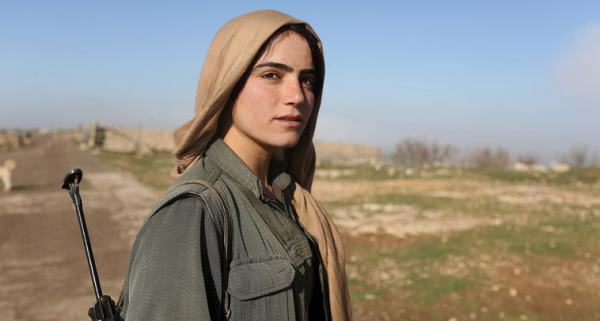 This photo of a female Kurdish fighter was retweeted thousands of times. 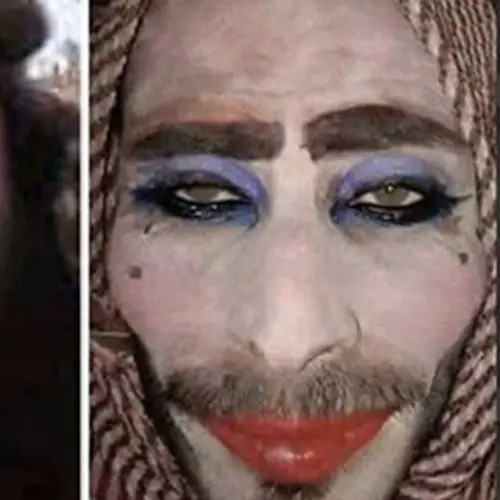 The woman is believed to have been killed by ISIS. Said Russell in an interview with CNN, "A lot of the women's backstories were quite difficult. 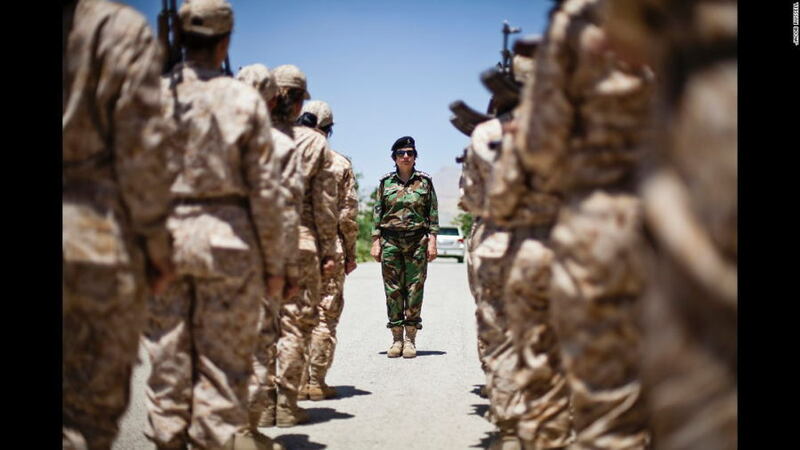 It seemed like this unit provided an alternative network for women who maybe would struggle in normal Kurdish society, because despite being relatively progressive (within the Middle East), it is still quite a conservative society." 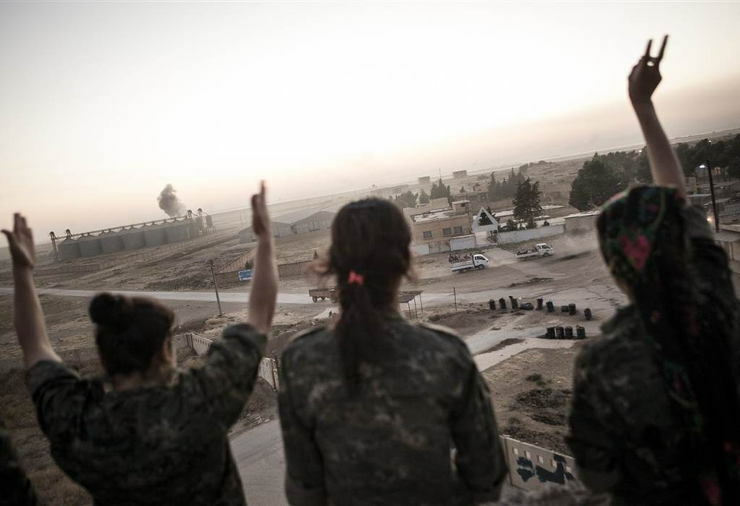 Regardless of PKK political objectives, many feminists praise the YPJ for "confronting traditional gender expectations in the region" and "redefining the role of women in conflict [there]." 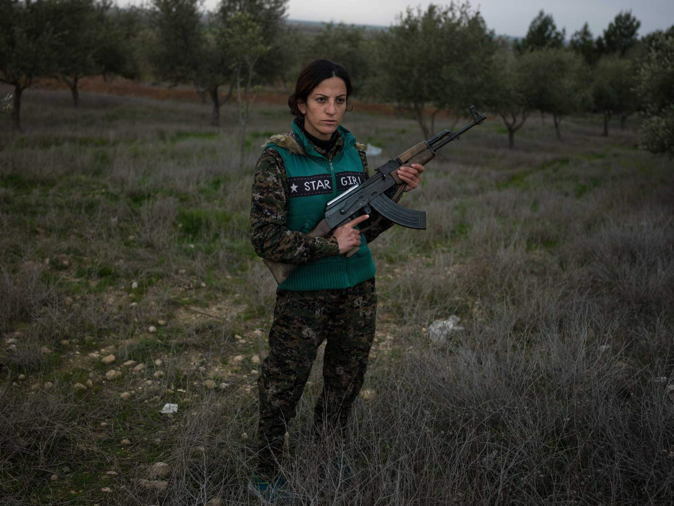 According to photojournalist Erin Trieb, "the YPJ is in itself a feminist movement, even if it is not their main mission...they want 'equality' between women and men, and a part of why they joined was to develop and advance the perceptions about women in their culture. They can be strong and be leader." 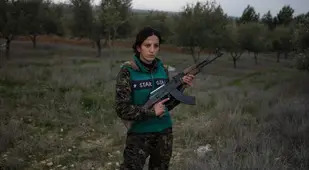 Perhaps put better by 18-year-old Kurdish fighter Saria Zilan, "In the past, women had various roles in the society, but all those roles were taken from them. We are here now to take back the role of women in society." What becomes of ISIS and Kurdistan remains to be seen. Rest assured, though, that women will play a substantial role in determining the fate of both. Want more on ISIS and Iraq? Be sure to check out our posts on life under ISIS, the conflict in Iraq and Syria explained, and Baghdad in the early 20th century!